With its gently, curved, seat back and lovely silhouette, this handcrafted chair will provide sophistication and elegance to your home décor. The chair’s solid wood molding runs from the top of the curved seat back to the base of the seat. 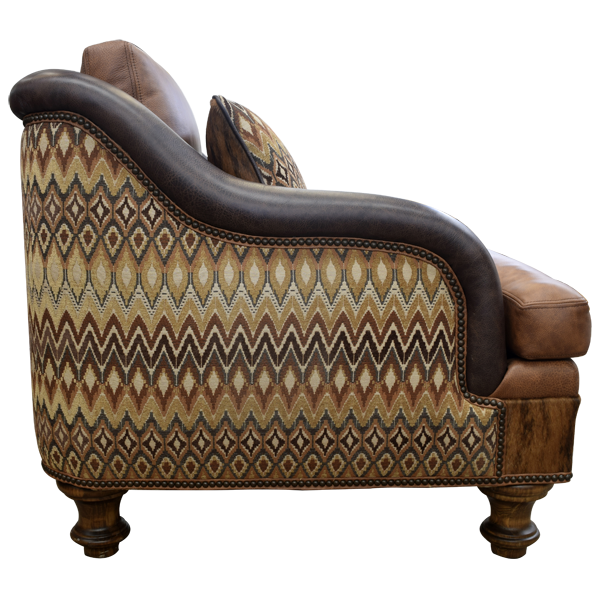 The seat cushion and the inside seat back are upholstered in rich, brown, full grain leather. 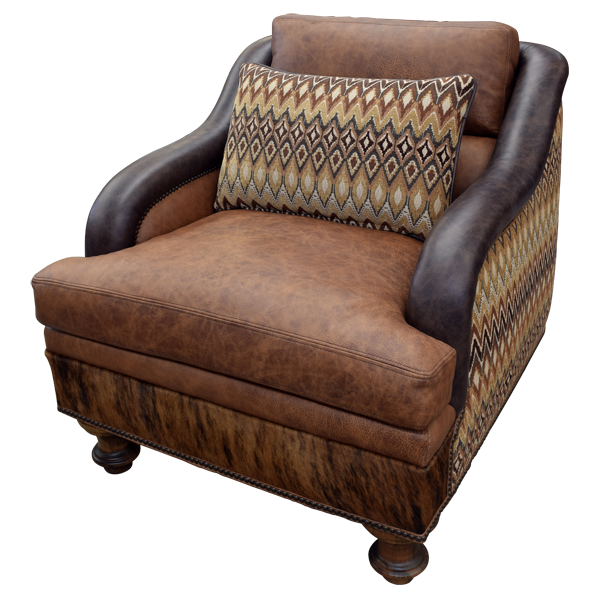 The reverse seat back and the exterior sides are upholstered with patterned, fine fabric, and the lower front of the chair is upholstered in patterned, real cowhide. 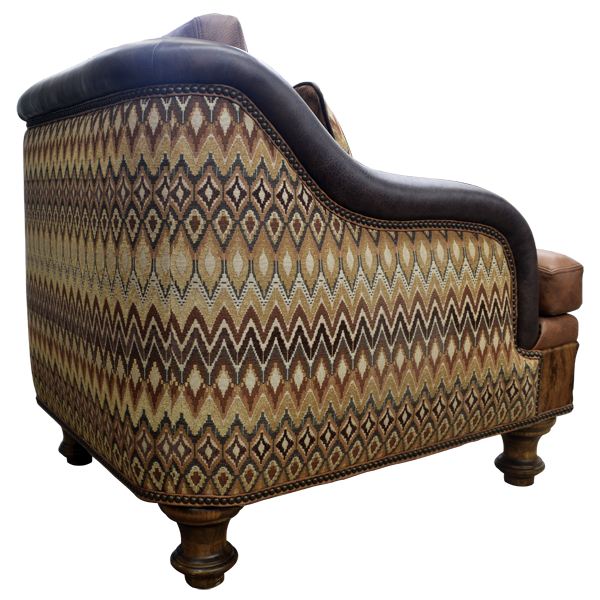 The upholstery is precision hand tacked to the solid wood frame with beautiful, decorative nails. 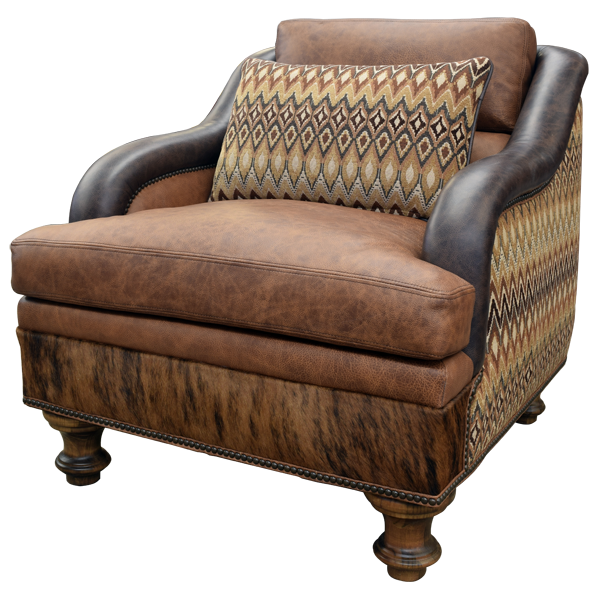 Additionally, the upholstery is double stitched for extra strength and durability. This chair is also extremely comfortable due to its curved shape and its extra padded seat cushion and body. 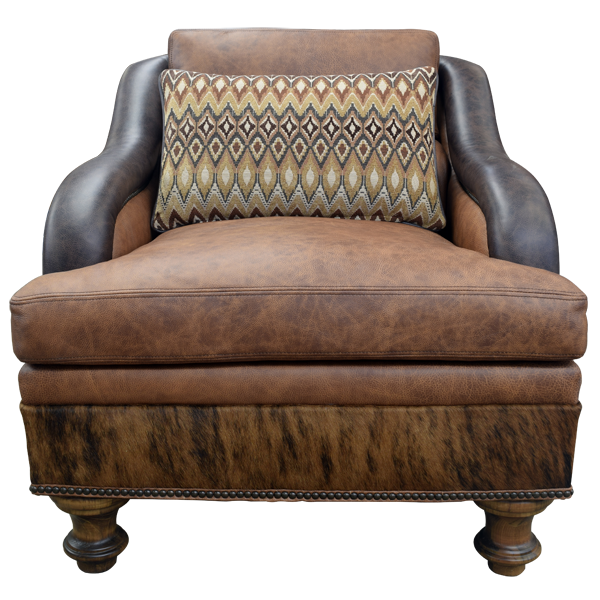 The armchair is supported by solid wood, bun style, tapered feet, and it is 100% customizable. Upon request, we can make a matching pillow to accompany this chair.